TomReeves - Tom Reeves has been a confirmed Francophile since he first took an unpaid sabbatical in 1975 to travel to France to learn the language, see the country, and pursue a diploma in French language, literature, and civilization. Returning to California in 1978, he eventually realized that while he had left France, France had never left him. 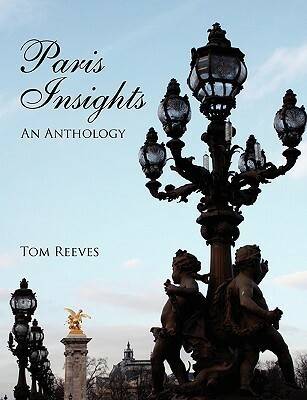 He moved back permanently in 1992.His first book about the City of Light, Paris Insights – An Anthology, is a collection of articles that describe a Paris that the average tourist would not otherwise see or experience. Witty and incisive, it is an informative compilation of sights, sounds, and good advice about enjoying the city from an insider’s perspective.In his second book, Reeves turns his attention to gastronomy and restaurant dining. Dining Out in Paris – What You Need to Know before You Get to the City of Light provides information on the fine points of French dining customs and prepares readers for what to expect the first time they enter a restaurant in Paris.In addition to writing about Paris, Reeves gives a gourmet walking tour of the popular rue Mouffetard market street and a walking tour of the Luxembourg Garden on African-diaspora history.